The national park is located in the southern Sierra Nevada, east of Fresno, California. Established in 1940, the park covers 461,901 acres and it is administered by the National Park Service. This broad glacial valley features tall cliffs, a river, waterfalls and vibrant meadows. You can also find mountains that were formed in diorite, granite and monzonite rocks. The park is also home to giant sequoias, deep valleys and miles of hiking trials and it’s a nature-lover’s paradise. The good thing is that you can pan your trip to this wonderful location. When you are planning your trip, it is important to note that there are four distinct seasons and five unique regions. It means that each of these seasons and regions will offer distinct features, facilities and activities. The first thing that you need to do is to select the season during which you are going to be visiting the park. Spring starts from April to June, and during this time the sequoia groves are still snowy. In addition, the rivers and creeks become especially swift, cold and dangerous. However, spring brings the warm weather as well as abundant wildflowers. Summer begins in July and goes on until mid-September. By this time, the snow has melted and most facilities are now open. Hot and dry foothills can make the rivers tempting, but you should exercise caution. Fall begins in mid-September and ends in November. During this time, the sequoia groves get chilly when night falls. Light snow can also be experienced and most facilities start to reduce their operating hours. There are also fewer programs that you can enjoy at this time. Winter starts in November and goes on until April. During this time, there is abundant snow on the sequoia groves. The place is also peaceful and cold and there are many outdoor activities that you can indulge in. There are five unique regions, including the Foothills, Mineral King, Giant Forest, Grant Grove and Cedar Grove. The foothills provide visitors with an opportunity to embark on day hikes. The Giant Forest features some of the biggest trees that you can find in the world. There are trails that stretch for forty miles. Wheelchair accessibility is provided by the Big Trees Trail. 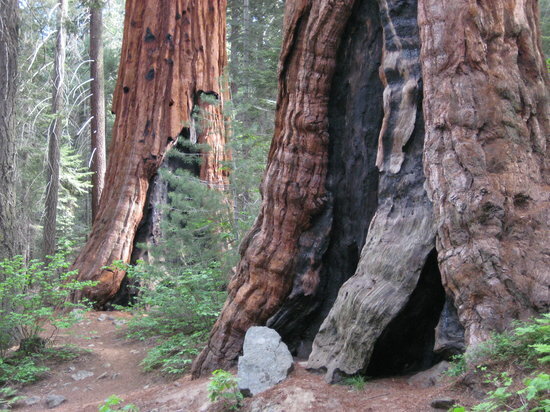 Giant Grove was created in order to protect the giant sequoias from logging. Warm days as well as cool nights characterize the area during the summer. During winter, you will find cold temperatures and deep snow. Cedar Grove is a glaciated valley that features towering cliffs and tumbling waterfalls. The park was named after the Kings River. There are numerous spectacular trails that visitors can be able to enjoy. Mineral King is an area that features dense forests with fir, pine and sequoia. There are colourful shale and granite landscapes and the region is famous for Mount Whitney, which United States highest mountain.